Sumo stand with the Rockstone coating plus our EllTex coated hammock: weatherproof and perfectly matched! 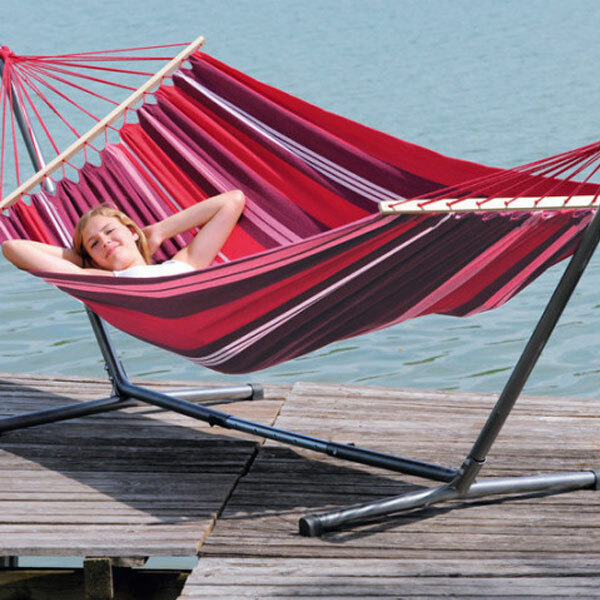 The Sumo Rockstone stand with its adjustable length is suitable for all smaller hammocks. Small packing volume and it is very easy to assemble without tools. The sturdy Fuego hammock with spreader bar is very comfortable and great to lie in. It is made of weatherproof and UV-resistant EllTex material, which is extra long lasting and yet as soft as cotton.